Home / boats / Saudi / UAE / The UAE and Saudi get their handbags out. The UAE and Saudi get their handbags out. The incident has shocked diplomats who hope the countries, both key American allies, will help implement the West's strategy to constrain Iran's nuclear and military ambitions. 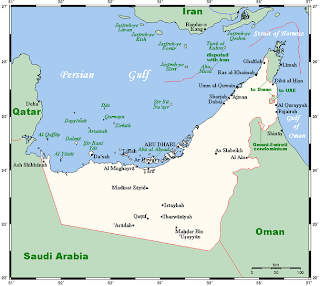 The clash happened in disputed waters between the coasts of Saudi Arabia, Abu Dhabi and the peninsula on which the gas-rich state of Qatar sits. 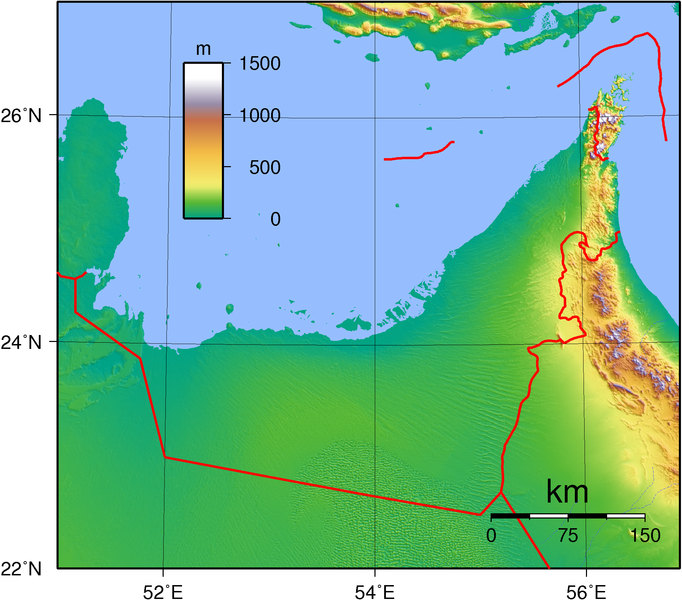 The seabed is rich with oil deposits, while the Dolphin pipeline project to carry natural gas direct from Qatar to Abu Dhabi has provoked irritation in the Saudi authorities. Nevertheless, direct conflict between the two countries' armed forces is highly unusual. Spot the difference? 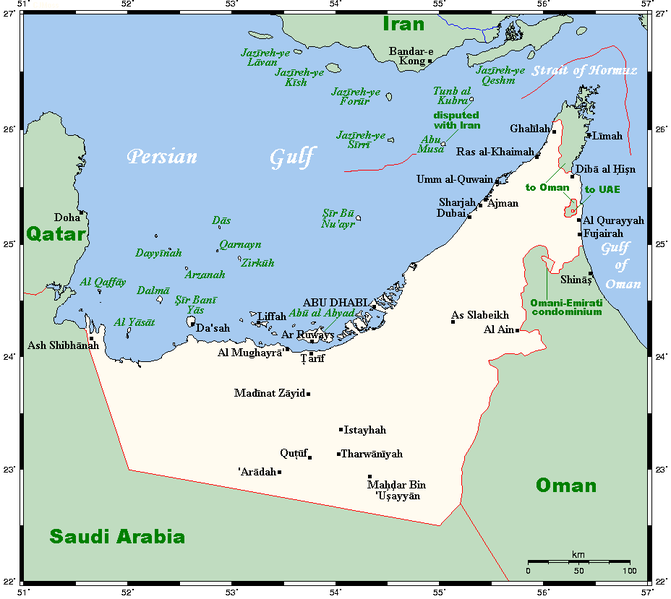 The UAE believe that they should have a land-link to Qatar (as do Qatar by the way). Yet Saudi have said no, we have a treaty that says the lands ours. Slight problem with that, the UAE have never agreed to it, and this thing's been festering un-agreed for 36 years so far. Now I knew things sometimes take a long time to get done in this part of the world, but this takes the cake! For old timers here in the GCC, they will remember that you could drive to Qatar from UAE until pretty recently, when Saudi promptly closed their borders and refused to let people drive across (that is, of course unless your a GCC citizen or have a valid visa to do so). And it does get even more important. 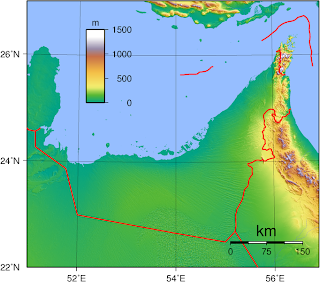 The Dolphin gas pipeline runs through this disputed area, and now Oman is buying into this project and taking delivery of this Qatari gas here in Oman. So it'd be pretty obvious who Oman would back in such a situation. So it's a case of Qatar, UAE and Oman all saying to Saudi to get stuffed. But of course nothing like that will ever happen. But something will have to be resolved because eventually someone is going to want to drill that area for oil (which I understand is very rich in oil deposits). Oxy and Total each have 24.5% stakes in the Dolphin pipeline, with Abu Dhabi's investment fund Mubadala controlling it with a 51% stake. That's quite interesting. I never knew about UAE's "unfinished business" with the Saudi borders. All annoyingly sad. They're certainly "key American alleys" but I think America's strategy would become stronger if an internal conflict within the GCC takes place (GCC becomes weaker, it's easier for US to grab hold of it's most important resources OIL & GAS) So it's not too shocking I suppose. Stimulus, except the USA, and the UK for that matter, have bases all over the GCC, including Saudi and the UAE (and of course Oman too, and Qatar & Kuwait). So war breaking out in these area's is going to cause them problems. It's just a bit of bickering, they'll quieten down again now I'm sure.